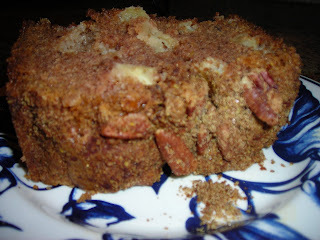 Healthy Bakes by Catherine "Good For You, Never Tasted So Sweet!" Wake Up & Eat Something! 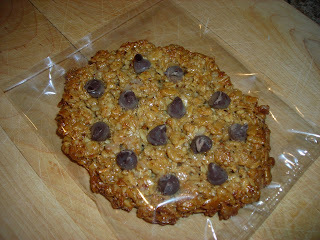 How about some Peanut Butter Chococlate Chip Granola! My kids love this one but you have 35 other flaves to choose from. have at least 8 to 12 different flavors available each day. I have some cute ideas up my sleeve for the next big one! Edible arrangements! I will post a pix next week. It's time to do another giveaway! What more do you need to keep you going in the morning? your favorite flavor for free. 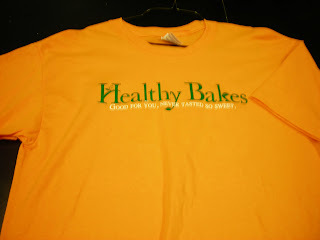 You have to become a fan of Healthy Bakes by Catherine on Facebook. If you already are a fan then you have to get a friend to become a fan. Sounds like someone is getting a pretty sweet deal! Tastes just like the real thing only not as messy! the official flavor of October. I've got it in Granola too. I am trying to be everywhere else! carry my breakfast cookies let me know. It Like, Totally Pays for itself! No Valley Girls here! Just me the Granola Girl! 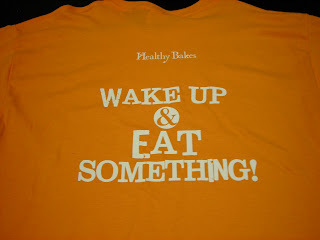 back says WAKE UP & EAT SOMETHING! This kind of advertizing has really got us pumped! we will give you free breakfast cookies. spread the word! Yeah, Pass it on! and they come in 34 mouth watering flavors. the workout gurus out there! I will keep adding to the list so keep checking! Hey you found us! I want to thank you for checking us out. 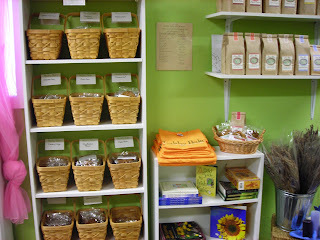 My family and I are very passionate about creating great tasting, healthy affordable foods. As a mother, farmer, and vegetarian, I know how important it is to eat whole unproccesed foods. Stepping back in time is a great way of rethinking what you should be putting into your shopping cart. 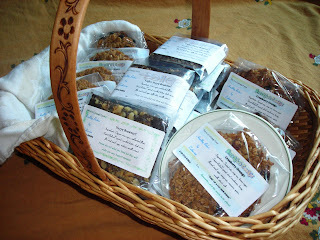 I love to share with others my experiences with foods, cooking and even growing food. As you scroll down the page of this blog, you will find out more about our products and where you can puchase them. we ship anywhere in the USA and also do custom gift orders. You can connect with us on Facebook or call us. There is a minimun ordering of 6 cookies or more and cookies must be ordered in multiples of 6. Each 3 oz. cookie cost $2.00 each. 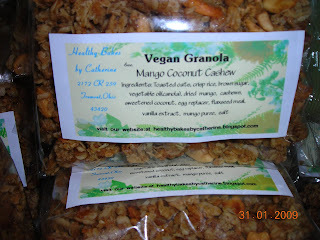 Granolas can be made vegan or low glycemic. We will let you know how much your order will cost and the shipping and handling charges. 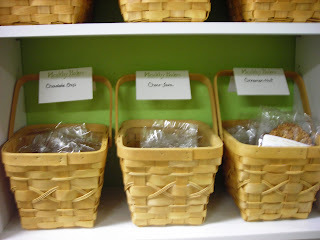 We bake same day when shipped so that your order is fresh!